If you are one of those who there first thought of the morning is about having a good cup of coffee, you’re not alone. To prepare the perfect cup of coffee is not anymore a secret, and you can prepare the best cup of coffee every morning if you follow these tips. Tip 1 Buy Fresh Beans. Experts, chefs and baristas will recommend that you buy the best coffee beans you can afford, a good idea is to find a local roaster and buy your coffee beans there. 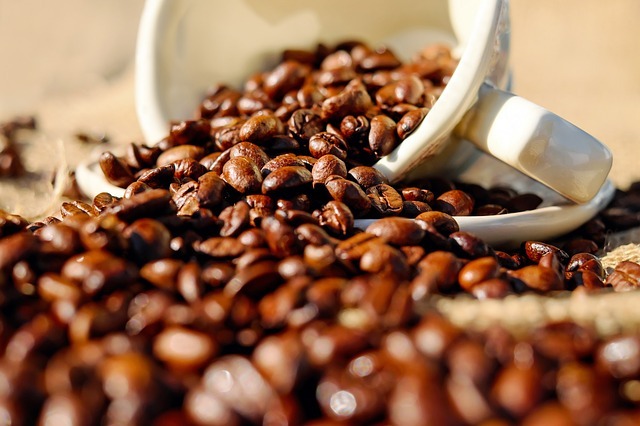 One good advice to keep your coffee beans fresh is to storage the beans in dark containers and well closed, light and oxygen are not good friends of coffee beans and with time they can turn bad. Tip 2 Grind at home your own coffee. Once you grind coffee beans they will start losing their freshness, a good advice will be to grind the amount of coffee you need every time you want to make a cup of coffee. You can find in the market a good quality grinder, and there are a few manual hand grinders, or you can go for an electric one. Don’t grind more coffee that the amount you will use, as it will lose its freshness so only use fresh ground coffee of the amount you can use for that day. Tip 3 Use Good Water. A cup of good coffee is made of 96 % water and 4 % coffee. When you use water with chlorine or off flavours, this will not help you to have the perfect cup of coffee. The best water you can use to prepare a cup of coffee is the water you get from bottled spring water or have activade-charcoal filters on their taps. Don’t use softened or distilled water, to make a good coffee you need water that kept its minerals, as these are essential to prepare a good coffee. Some of the new coffee brewing appliances will have a charcoal filter to keep the taste of chlorine out of the coffee. Tip 4 Find Good Quality Coffee Filters. Trying to save some money on coffee filters will not help you to prepare the best coffee cup at home. My recommendation will be to get coffee filters “oxygen-bleached” or “dioxin-free” paper filters. These filters are known as good, because they deliver the maximum flavour from the coffee. One “con” would be if you grind the coffee too fine, these filters may allow the sediments through into your coffee. Tip 5 A good coffee measure. To get the best taste of the coffee you need to keep with the measure that most experts recommend. To prepare a good cup of coffee the standards recommendation is to measure 2 level tablespoons of coffee per 6 ounce cup and for a 8 ounce cup you will need 2 3/4 tablespoons of coffee. If you make a cup of coffee with too hot water this may ruin your coffee, as extreme hot water tends to make bitter coffee. The best water temperature recommended to make a good coffee is about 195F to 205F degrees, or 25 seconds before your water starts to boil. Once you make coffee, it won’t last long with its best qualities. If you keep coffee for too long, or reheat it, these will make your coffee go bitter and give it that off taste. Once you finished making your cup of coffee it is recommended to clean all your equipment very clean, so next time you want to make a cup of coffee, all your equipment will be clean and ready to use and it will keep the best flavour for your coffee. To clean your coffee maker it is recommended to run it with a strong vinegar water solution at least once every month, you can also look for some coffee-equipment cleaner, by doing this you will keep your coffee maker free of any mineral deposit, and you get to enjoy a coffee with its best flavours.